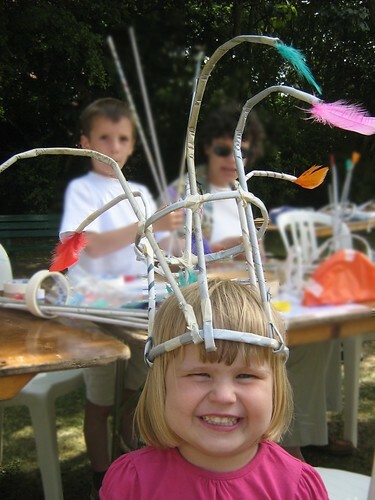 The Big Day Out, final bang of Holloway Arts Festival and my gang are making Mad Hats from rolled newspapers (guess how I've spent my June evenings) ... except one young lady of creative genius developed he mad hat into an eccentric character. Note the umbrella and bow tie. And below, one of the delightfully Mad Hats I'd envisaged beforehand!